He thanked his players. He thanked his family. And he thanked God. He even credited a contemporary Christian song for inspiring the team. The Cavaliers defeated Texas Tech 85-77 in overtime in the NCAA men’s basketball championship, completing an improbable run that saw them win their last three games in nail-biting fashion. Bennett is an outspoken Christian who nearly became a pastor before going into coaching. He has built Virginia into a national powerhouse, although the Cavaliers needed near-miraculous finishes in their last three games. On Monday, a late three-pointer by De'Andre Hunter forced overtime. In the semifinals, they needed three free throws by Kyle Guy with less than one second left to edge Auburn. In the Elite Eight, Virginia would have lost if not for a buzzer-beating shot by Mamadi Diakite in regulation against Purdue. 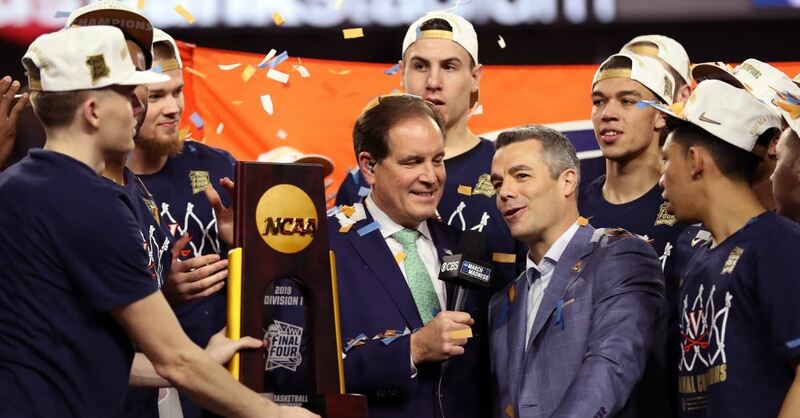 One year ago, Virginia was humbled in the first round as it became the first No. 1 seed to lose to a No. 16 seed. Bennett has labeled the loss a blessing that helped the team grow.